Exo Terra Boston Fern Medium PT2995 | Livefood UK Ltd.
A realistic replica of a real plant, the Exo Terra Boston Fern helps to create natural hiding spots for reptiles and amphibians. 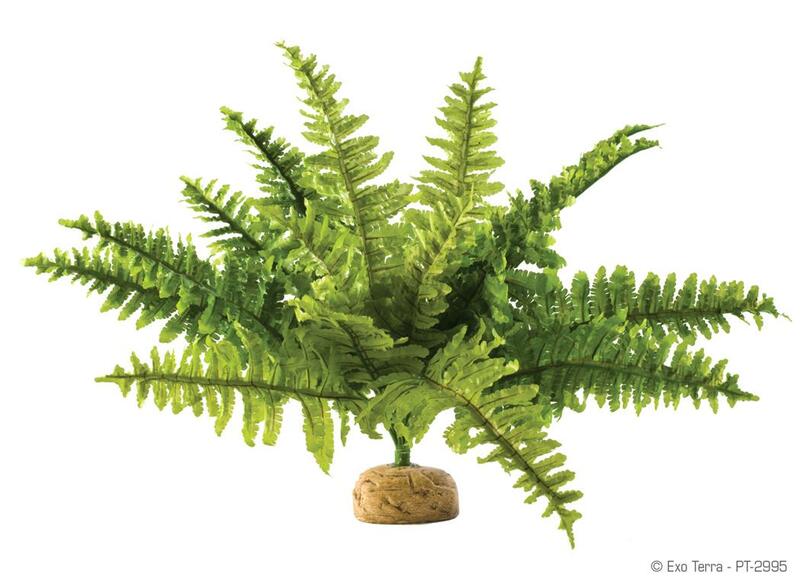 Easy to clean and maintain, the Boston Fern can be used in conjunction with real plants or used in those spots of the terrarium where real plants cannot thrive or survive. Available in two sizes: Small and Medium.